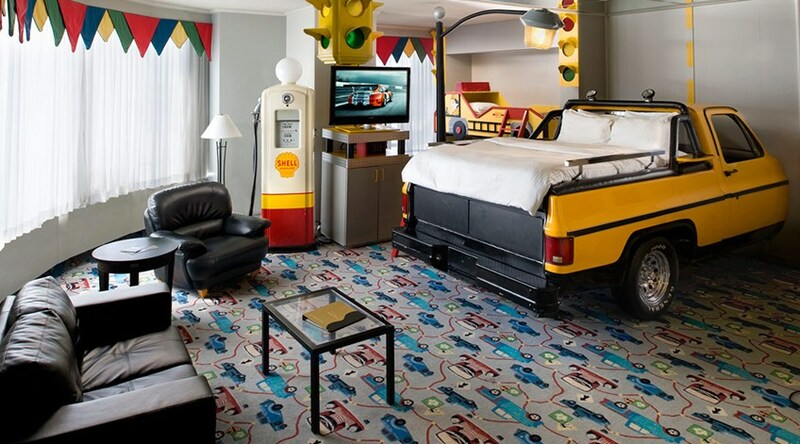 From board game-inspired holiday homes to authentic igloo accommodation, themed hotels are a lot of fun. But how on earth is a hotelier to choose just one theme? At Fantasyland in Edmonton, Canada, staff combatted the problem by choosing, well, all of them. 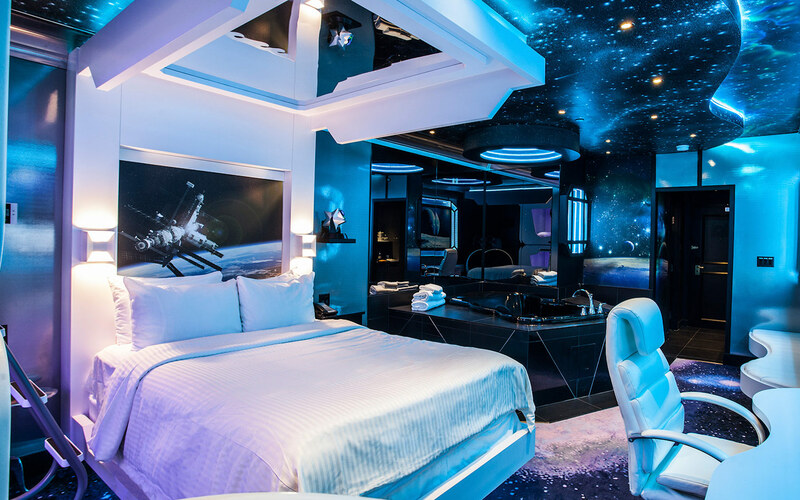 With 120 of fully immersive themed rooms, guests are sure to find their perfect fit. The hotel caters for pretty much everything you could imagine: in the below suite, for example, you can sleep in the back of a pick-up truck. 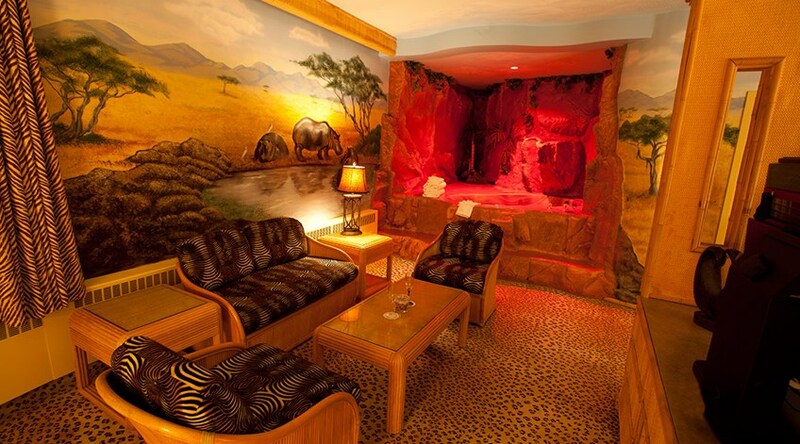 Or you could embark on an African safari amidst bamboo furniture, leopard-print carpet, and a rock-pool styled hot tub in the Africa-inspired apartment. 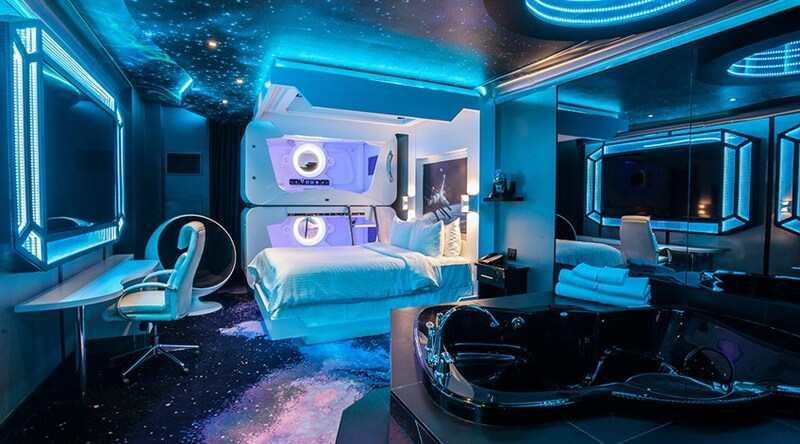 Or blast off into an outer-space adventure in the closest thing you’ll find to a spaceship in the space-themed room. Absolutely no expense is spared when it comes to detail, providing guests a completely immersive experience. 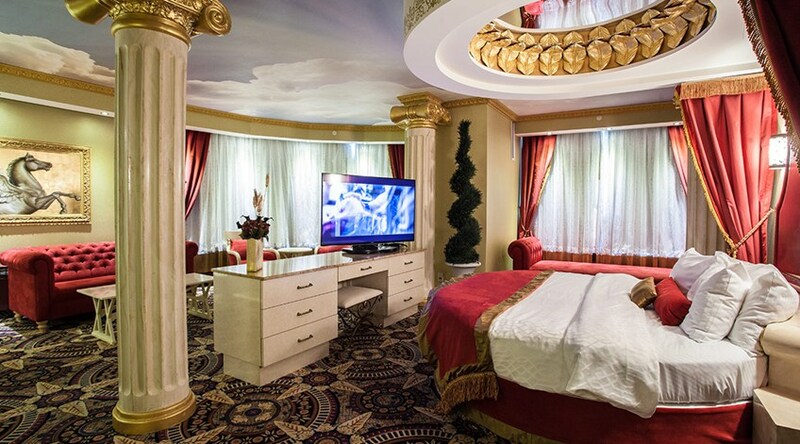 Take the Roman-inspired suite, for example. It’s kitted-out with red velvet bedding and curtains, topiary, faux marble statues and gold-leaf trimmings. The fun doesn’t stop at the walls of your hotel room, either. Fantasyland is home to an array of awesome attractions, like Galaxyland Amusement Park, World Waterpark, an ice-skating rink, aquariums, bowling, and more. Prices start at an affordable $160 per night, and can be booked via the hotel’s website. Check out Qantas flights to book your next adventure in Canada.